I have a kindergartener this year! I can't believe it. He's a darling, smart, sweet boy. Between school & life schedules, I've already been packing them lunches for years. 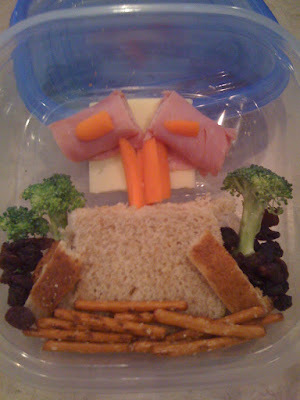 And...I LUV making their lunches fun. It's an chance for me to give them some extra love during their day. I hope when they open their lunches, they smile & know that I'm thinking of them. And if we should live life to the fullest & food should be enjoyed & is already an art form...then lets make lunches great this year! Oh...but listen. These lunches are not getting cranked out of our kitchen every day. 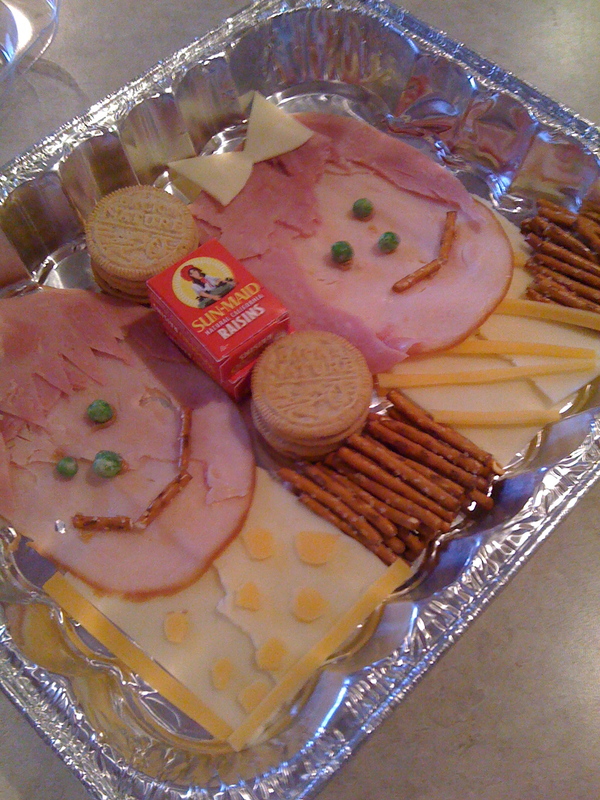 These are special fun lunches. I've pulled them out on their birthdays, on a rough morning to snap someone out of a meltdown. And, if they come out randomly, the kids get wildly excited. My next issue: I've never sent these in a lunch box. These have gone right to a fridge...I'll learn about how to do it successfully this year & share them with you. I am challenging myself this year to build in the extra time it takes to be creative, spread my love & build memories for my darlings. Will you take up my challenge too?